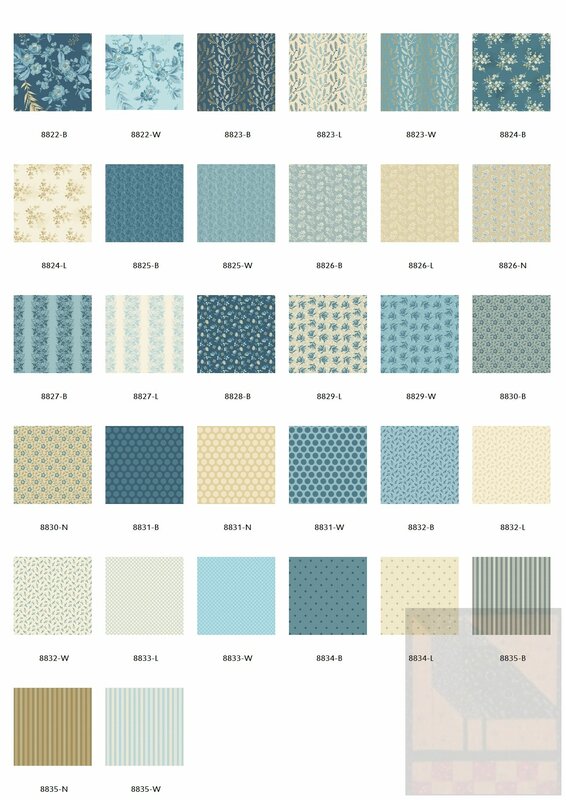 9/20/18 - Two new quilt kits available in the shop this week! 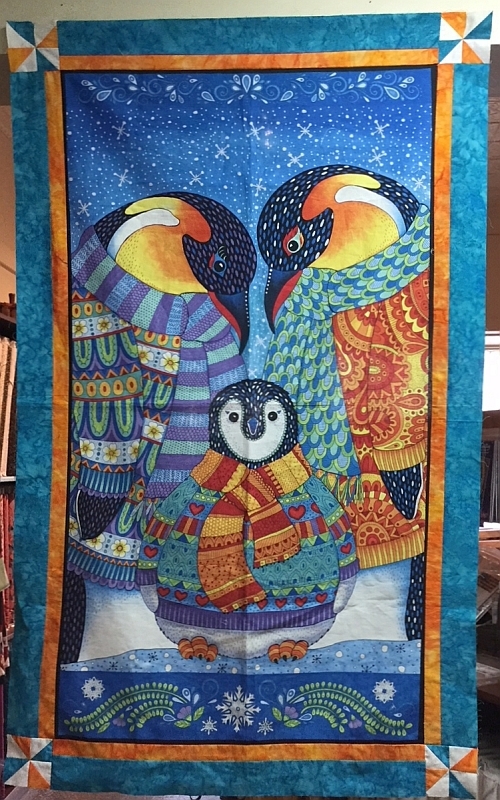 Quilt size: 31" x 50"
Let this adorable penguin family help you fight those inevitable winter blues! 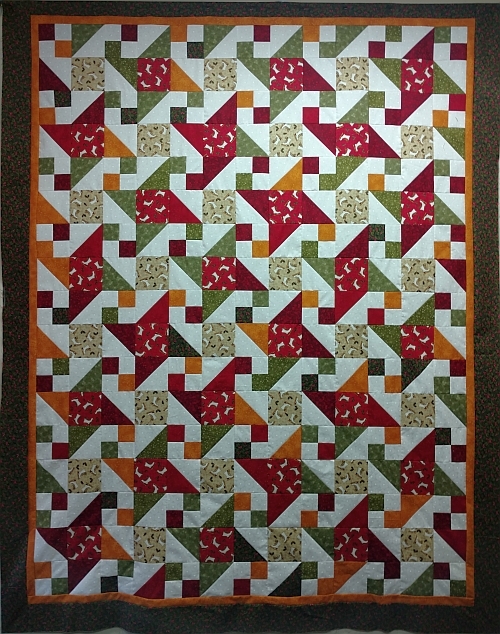 This 31" x 50" quilt can easily be enlarged by adding additional borders. The panel is also available separately in the shop or can be ordered online by clicking HERE. 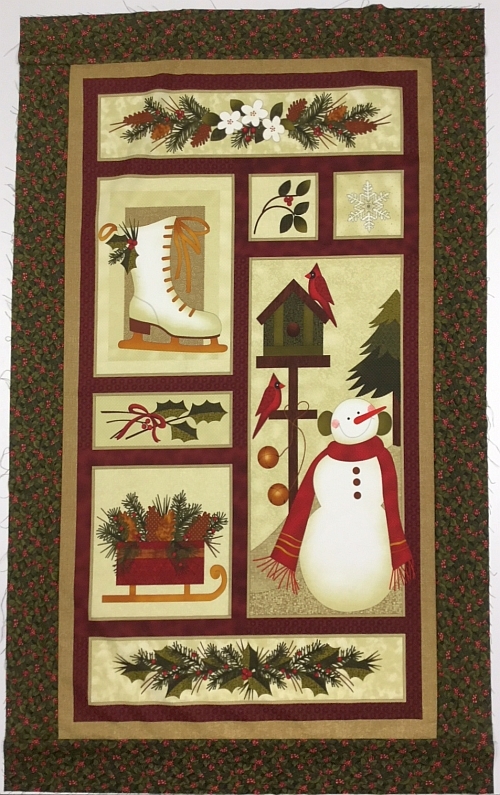 Quilt size: 60" x 76"
This quilt, which measures 60” x 76”, was created with fabrics from our newWinter Wonderland collection. Kits with pattern are available in the shop now. 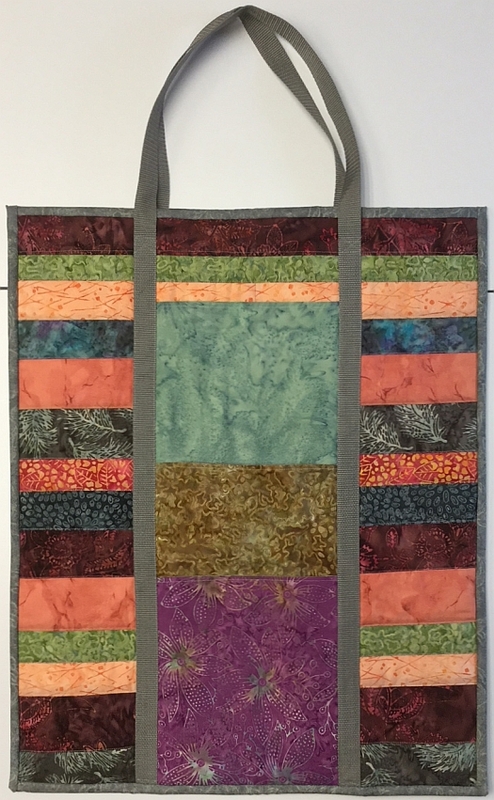 The panel measures 24" x 43" but can be made into any size quilt by adding borders. 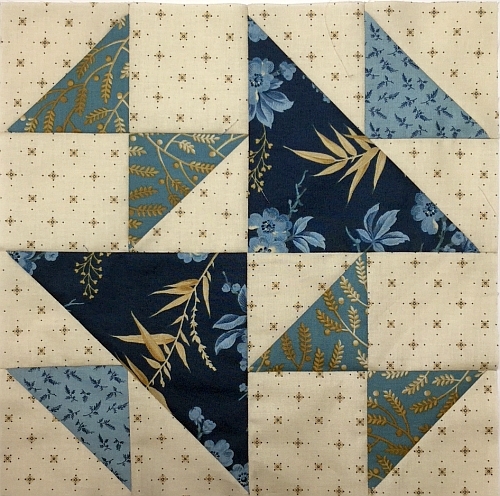 The border shown above uses the Holly fabric which is part of the collection. To view the entire collection on our website, please click HERE. NOTE: This is a 2-part class on consecutive Saturdays and will be held at the Palmerton Library located across the street from the shop. Pre-work is required and will be provided upon class registration. 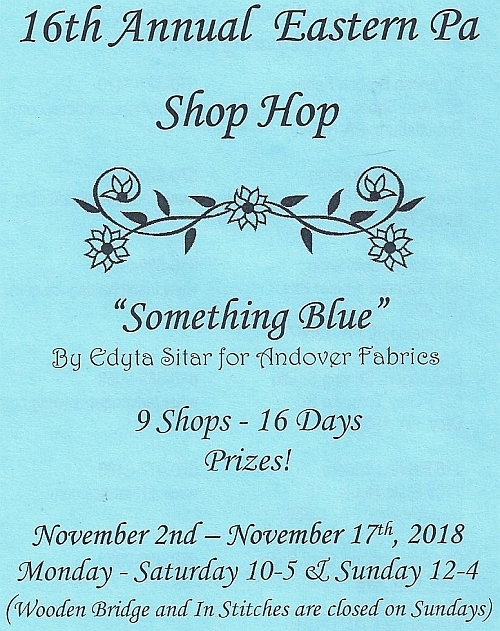 To sign up, please call the shop at (610)900-4700 or click the image above to sign up online. 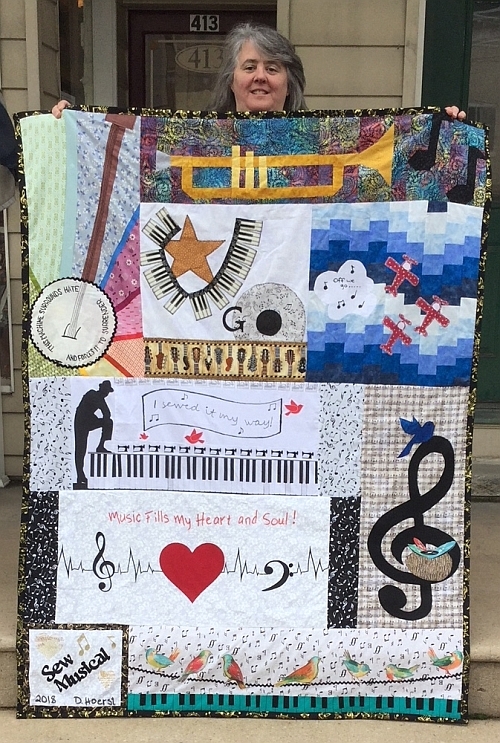 The Quilted Crow is still participating in the Row by Row event and our 2018 row shown above is entitled "Sew Jazzy." Patterns are available now in the shop for $8 and Row Kits are available for $18.